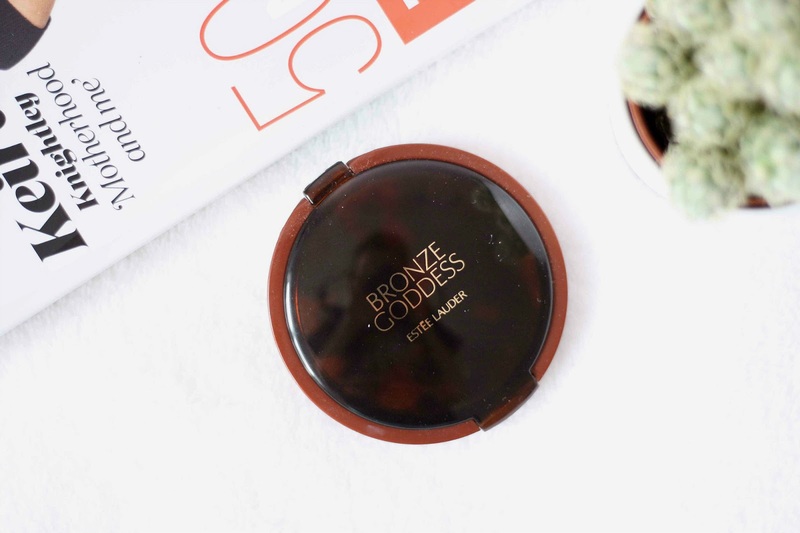 A couple of weeks ago I purchased the Estee Lauder Bronze Goddess Illuminating Powder Gelee. Such a mouthful of a name, I know. So I thought I’d share my thoughts and views on it! First of all, can we appreciate how pretty the packaging and product really is. I love it. This retails for £32, which is definitely on the higher end of spectrum. But we’re talking about Estee Lauder here. 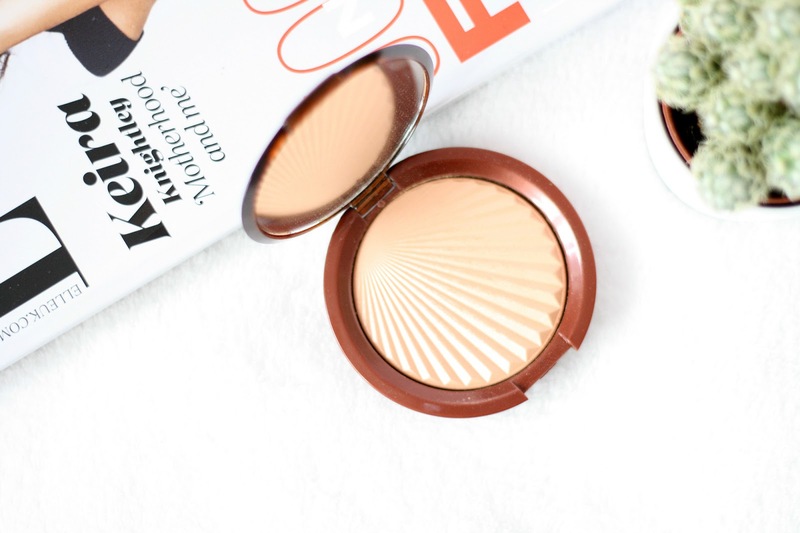 Its described, ‘This seductive all-over highlighter is endless summer. Smooth it on for a soft, sun-kissed sheen. Build to a luminous pearl highlight.’ I agree that it gives you a gorgeous sun kissed sheen to the skin. Its a very warm highlighter, which gives you the sun kissed look it claims. When applying to the skin it feels soft and almost creamy, even though it is a powder. It definitely isn’t a chalky highlighter, like some. I apply this with a small fluffy blush, usually to the tops of my cheeks across the top of my forehead and down my nose. If I want this built up a bit more I will use my fingers to apply it. What I love about this, is its not overly shimmery but not completely matte either. Which makes it just perfect for the summer time as it gives you the loveliest glow. Over all its a super pretty highlighter for the summer, with gorgeous packaging. I’m not sure if its completely worth the £32, but I definitely am really enjoying using this, and will continue to throughout the summer. What are your favourite Estee Lauder products?